A member emailed me recently letting me know my links were all dead, which has long been true. 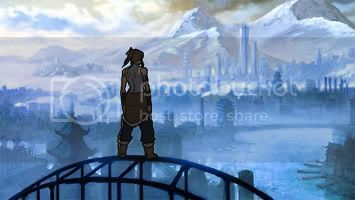 You can find the collection at http://www.reddit.com/r/TheLastAirbender/comments/22pekb/due_to_demand_here_is_all_of_the_art_from_the/. Ooh, that's great. I was thinking of making a tumblr to archive all the stuff from the old Nick page, including the text and lore, and having the individual art ready to go would be great. There seems to be a spelling error on Momo's entry - "that Aang's finds" instead of "that Aang finds". I'm copying and pasting all that text. I'm suppose I should go ahead and fix it, but I'll leave the triple-spaces between random sentences. Also, I should leave a warning here that Book Fire is probably not going to be fully archived. I can't find any copies anywhere of the full text like I did for Books Water and Earth, nor even the lists of entries for each episode. People have reposted individual entries here and there that I'll just have to steal and assume are accurate, and I'm going to have to make my best guess as to what I should even be looking for based on the artwork files. Implied in that paragraph is that if anyone knows of any such files like this for Book Fire, a working version of the Nick site, or a fairly complete fan archive, I would very much appreciate it. Or if you have a relative working in Nick.com's IT department, that'd be aces, too. Wow, this is downright the work of an archivist, thank you. Supplies are moved from the [Pohuai] stronghold over thousands of miles of rail lines to the Fire Nation army assembling at the outskirts at Ba Sing Se. Ah, I remember reading about this on the old archived site. It's too bad we never got to see a Fire Nation train except in one of the Lost Adventures comics. You're welcome! And yeah, I had the same thought when I saw that entry: "Ooh, so trains are canon! Now I know why that comic exists!" For the record, as long as I'm posting, I'll note that a full list of entries for Book Fire was passed to me, so all those entries can be taken as accurate to the original site.